Place : Coimbatore , ,India. SHARP TECH Compressors are available for all applications in diverse industries. The compressors are manufactured with advanced technology for high operating efficiency and conform to the finest quality and stringent quality control tests at every stage. Range: Up to 20 HP at 12 Kg/sq.cm working pressure. SHARP TECH is produced from high quality materials coupled workmanship to ensure utmost reliability and efficiency in operation under most arduous conditions. 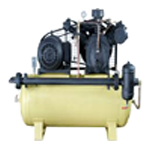 An air compressor is mostly a compressor that takes into custody air and raises the amount of air in a particular space at atmospheric pressure and distributes it at a higher pressure. By contracting the air inside, the air pressure is increased which in turn generates energy that is useful for various industrial, manufacturing, commercial or personal purposes. Air compressors are extra necessary than merely pumping up tires. These flexible tools can also power nail guns, spray guns, and many other tools and machinery. The functionality of these machines is like lungs of the human respiratory system. For example, when you take a deep breath to blow out candles on your birthday, you're increasing the air pressure comprising in your lungs. 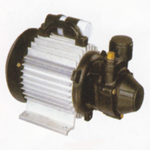 Similarly, air compressors effectively use the force of air to produce energy for various equipments. The compressors cover a wide range of single stage cylinder, single stage twin cylinders, and two stage two cylinders, portable and stationary with vertical or horizontal air receivers. 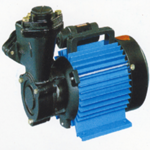 The smaller capacity compressors are fitted with ball bearings to the connecting rod, which will give smoother running and longer life. The side cover in the crank case is provided with unbreakable transparent sheet which enable the clear function of the ball-bearings fitted connecting rod and oil splash lubrication visible and its added attraction too. All receivers are specially built with heavy gauge mild steel and hydraulically tested. Hand holes are provided for easy cleaning and maintenance in big size receivers. SREE ARUNACHALA INDUSTRIES was involved & integrated as a upcoming pumps manufacturers in a small scale unit in & around Coimbatore. 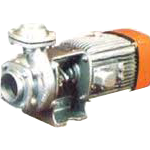 Domestic Pumps were manufactured in the beginning. 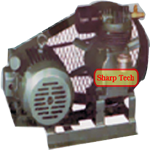 Within a short span of time, we make to available MonoBlock Pumps, Air Compressor & Bore-well Compressors.ARUNACHALA has a well equipment unit to manufacture all kind of Mono block pumps in various models & Distribute its product to all over india. Fair Trading, promptness as well as the aptitude in making available high quality products in short time are the main uniqueness of ARUNACHALA PUMPS. 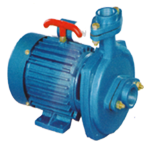 With immense pleasure we wish to introduce ourselves as a top manufacturer of all kinds of pumps especially Centrifugal Mono block Pump, Low Head Mono block pumps, high head mono block pumps Single Stage, Multi-Stage Mono block Pump set, Electric Motors, etc in India, west TamilNadu, Coimbatore. We are and have been in this line of manufacturing since the last 10+ years. And every one of our representations can be balanced with any of the popular brand moving in our domestic market for quality and performance. Having a team of highly trained, skilled workers who’ve blessed duty is to keep up a sky-scraping standard of quality at every phase of manufacturing, concluding and get-together. 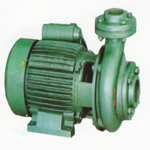 And raw material of the best ranking and quality you can get only the best end products of MONOBLOCK PUMPS. Ours is a very wide range of products from which to make your selection as per your required needs. The list of models with this will be much help to you with a sample order which will prove without doubts our products excellence for mutual profits and ever lasting satisfaction of our clientele. To our current Mono block Pumps customers across India, we sincerely thank you. And if you’re new to Mono block Pumps, we look forward to the opportunity of providing you exceptional value and service for all your pump needs. • Keep happy all customers’ need & prospect with Quality Products. • Take on ground-breaking, hands-on, approachable & caring approach to go over Customers prospects and Continuous Improvements.